This article originally appeared on the website SavingCountryMusic.com. 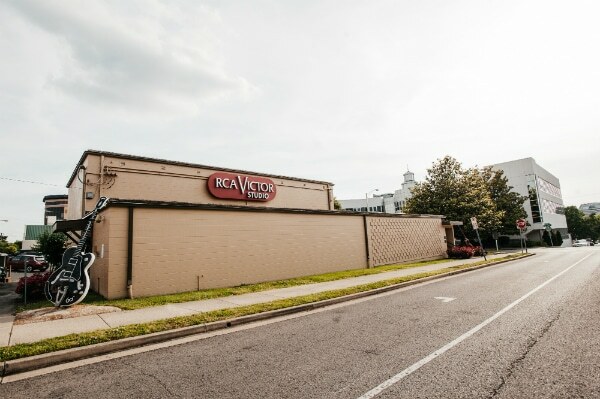 Last week, one of the big stories in Nashville’s music scene became the potential bulldozing of Music Row’s historic Studio ‘A’, currently under the care of musician Ben Folds who’s been renting and upkeeping the space for the last dozen years. Studio ‘A’ has been in service since 1964, and was the site of some of country and pop music’s most important recordings, so when Ben got word that the studio was being sold to Bravo Development, the piano player feared the worst, and wrote an impassioned open letter to let people know the important landmark might be in trouble. A rally was planned for Studio ‘A’ on Monday morning (6:30, which still transpired to raise awareness about preservation in general), but the developer let it be known on Friday that it was always the plan to keep Studio ‘A’ intact as part of any development plans. Crisis averted, right? It was for Studio ‘A’, but it wasn’t for the Musicians Hall of Fame a few years ago. Another controversial development plan that would have put a Walgreen’s on Nashville’s historic Lower Broadway entertainment district was also shot down last week. But these might just be symbolic wins in a battle Nashville is waging that may see the erosion not just of some of its historic places and buildings, but its creative epicenters which have transformed Music City not just into the mecca for mainstream country, but has given rise to some of the most sought-after dirt for artists looking to be on the cutting edge of music innovation and creativity championed by an independent spirit. To say that Nashville is going through boom times doesn’t begin to explain the half of it. Nashville has always been a draw to people with dreams of becoming big country music stars, many that end up feeding the city’s labor force for service staff at restaurants or other low skill jobs as they struggle to get a seat in exclusive songwriter circles or acoustic rooms that may help them land their big break. Some people will tell you the city’s music business is simply set up to subjugate people’s dreams, and that popular country music is just a promotional tool for the system, with millions of dollars of promotion, management, and studio time being spent by people who ultimately will never have a chance at the big time. But with the currently popularity of country music, and the massive promotional boost ABC’s hour-long drama Nashville has given to the city, there’s parts of town that feel like they are about to burst apart at the seams, and many such neighborhoods are the places that young, aspiring artists set up shop to incorporate themselves in the creative channels running through the city. Nashville isn’t just the home of Taylor Swift and Tim McGraw, it is the home of Jack White and Dan Auerbach. It is the home of Caitlin Rose and Sturgill Simpson, of Jason Isbell and Cory Branan. It is also the home of scores of songwriters and performers that ultimately contribute to the music world creatively, even if their names are not well-known to listeners. They offer up co-writes, they influence the bigger artists that can’t take the same risks the smaller ones can. The concentration of cutting-edge talent in one place creates an environment of healthy competition that spurns everyone on to the benefit of listeners’ ears, and that is what Nashville has become in the last half decade in the shadow of downtown’s big buildings, and beyond the business-oriented mindset of Music Row. If you look at many of American popular music’s big movements and eras, they started in areas where low rents fostered the creative process. Black slums gave rise to American jazz and blues music. An abundant supply of big Victorian houses in San Francisco’s Haight Ashbury neighborhood allowed entire bands to move in together and have plenty of practice space right beside other bands with who they could knock ideas around with, collaborate, and coordinate tours and network with. The urban blight of Compton gave rise to Gangsta rap, Seattle to grunge, Laurel Canyon to the sound of the 60′s, Austin to the Outlaw movement, and when WSM’s Grand Ole Opry became one of the biggest radio shows in the nation, by centralizing much of country music’s talent in one place, it allowed an entire new genre of American music to form. The draw of traditionally-poor East Nashville as a haven for musicians looking to make it in music and collaborate with like-minded artists has been one of the ingredients not just to Nashville’s current output, but to its allure. It was an ongoing theme in the early episodes of ABC’s Nashville, and still remains a vital part of what makes the Nashville creative community work. But all that is in jeopardy now as development bulldozes much of the city’s affordable housing inventory, and rents and real-estate prices continue to spike. Nashville’s creative working poor are getting priced out of the city, and this could spell an ebbing of Nashville’s creative influx.The Nashville Ledger recently ran a story about this very problem, written by Jeannie Naujeck. One of the reasons East Nashville has become a haven for the creative poor is because of its affordability compared to the United States’ other entertainment centers like New York and Los Angeles. Ironically, the influence of New York and LA on the business side of Nashville’s music scene has always been given credit for why country music artists are offered less freedom by labels. Since many major labels only run satellite offices on Music Row while the big shots remain in bigger cities, it necessitates tighter controls. This is one of the reasons country music’s “Outlaw” movement of the mid 70′s was partially centered around Austin, Texas. But even before East Nashville was experiencing pricing pressure on musicians moving and remaining in the neighborhood, many were already flocking from East Austin, where the same wave of gentrification and urban renewal has been sweeping independent artists out of the city like a street sweeper. Home prices in East Austin have tripled since 2007 by some estimates, creating a steady flow of musicians from Austin to Nashville over the last few years. Nashville also seemed more inviting because unlike Austin, there was more label and business infrastructure comparatively. Now when looking at home prices and rents, it’s six one, half-dozen the other comparing the two music-oriented cities, while condominium and other residential developments encroach on both of the city’s entertainment corridors, causing neighborhood conflicts with live music venues. Same can be said for Echo Park in LA, and other creative places in the United States that are being brought under price pressure, many times by retiring baby boomers moving into condos built in creative areas, or young affluent hipsters who don’t yet have to worry about quality of schooling, so they can justify moving into traditionally downtrodden neighborhoods. The next question would be, where do the musicians go? Many times they’re scattered to the four winds, living in outlying, and more affordable areas, and commuting into the city when they can. And while some artists and musicians will inevitably land on their feet, and if they’re good and industrious enough find their appropriate path to a sustainable music career, with the lack of proximity to other creative peoples the type of energetic and competitive environment can’t thrive like it did before. Inevitably, necessity becomes the mother of invention, and other creative epicenters crop up: Portland, Oregon; Athens, Georgia, etc. But as locales far removed from the footsteps of the industry become the new creative epicenters, artists will no longer have that ability to help influence and foster a creative environment that helps push all of music creatively, and collectively.